Mai is a curious individual who loves nature and adventures. She is the founder and director of INGO, a social venture aiming to help young generations re-discover Vietnamese cultural heritage through hands-on experiences. With Dong Ho woodblock printmaking as a starting point, Mai has developed a printmaking kit for children aged 6 to 10 to experience this traditional craft hands-on. She believes that crafts and indigenous knowledge lay a foundation for sustainable developments and cultural identity, and she is working to build awareness and appreciation for Vietnamese crafts, by combining traditional know-hows with modern designs and experiential learning. Mai is also an active advocate for Fablab Saigon – the first makerspace and maker community in HCMC, having supported its business development and growth from a weekend club to a recognizable name among the international maker community, before focusing on INGO. Prior to that, Mai managed industrial automation projects for a global robotics company in Singapore from 2011 to 2014. 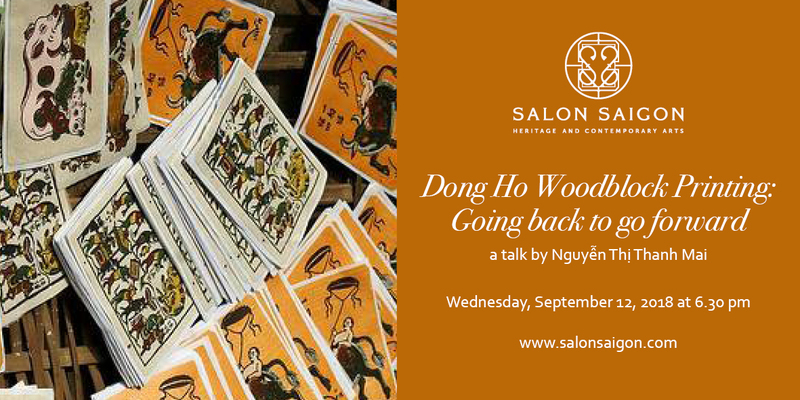 This conversation, based on the History of Dong Ho woodblock printing, will be about following curiosity, redefining traditional crafts and viewing culture as a pillar of sustainable development.